Finding the right fit for your curves can often be an exercise in futility. Most off-the-rack labels don’t seem to cater women who aren’t in line with their idea of what a women’s shape should be. At Isadora Nim we know that just because you have bigger hips, doesn’t mean your shoulders are too and if you’re anything like our team you want to accentuate your best assets whilst minimizing areas that you’re not overly in love with. We’re here to help. 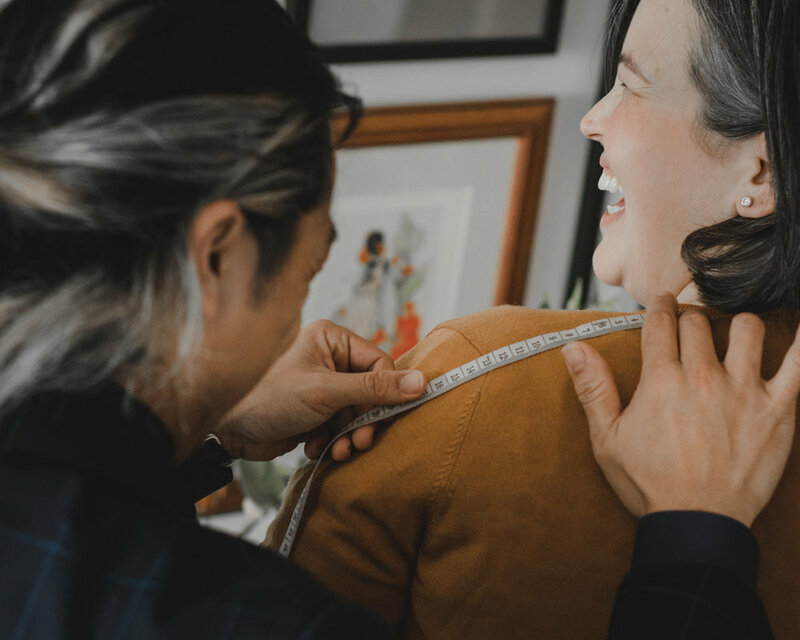 Our made to measure process means you can customise skirts, dresses, pants, shirts and jackets to suit your needs. This means you can have a dress that’s tighter around the bust, whilst being slightly roomier around the hips or a shirt that is tailored to give you your desired silhouette. Curvier women shouldn’t be expected to hide in the shadows and are often an afterthought of clothing labels. Isadora Nim wants to make sure you feel fabulous and look amazing whilst you’re at it. Email or call to find out how we can tailor an outfit for your needs.